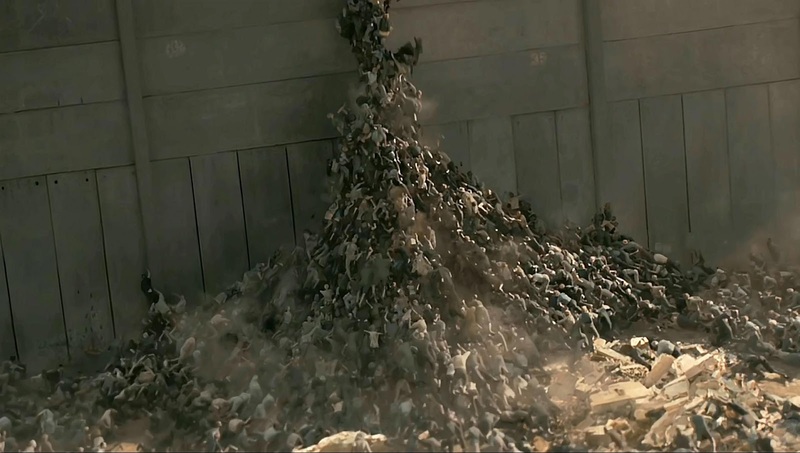 If there's one good thing about the popularity of Zombie movies and television shows if you're a fan of the genre is to see the different takes on the "Walking Dead." 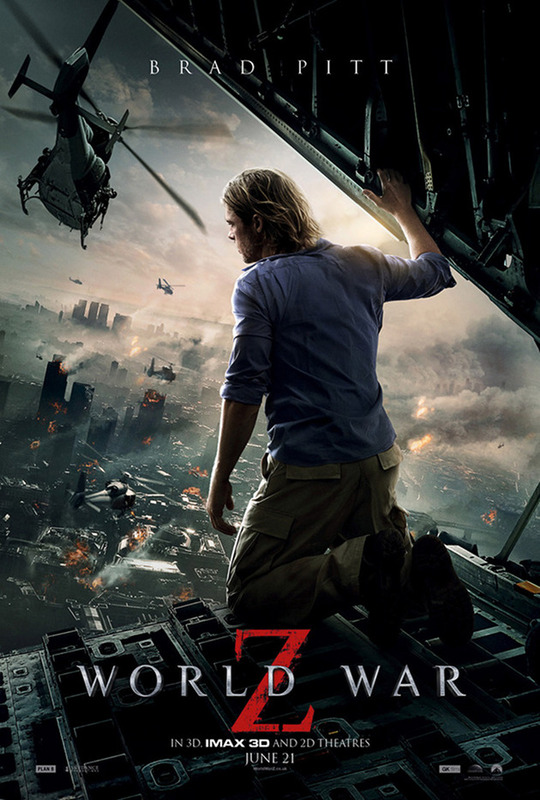 World War Z the film is based on a 2006 novel by Max Brooks. The focus of the movie is entirely on Gerry Lane (Brad Pitt) a retired UN Investigator who is drawn back to his old life when the zombie apocalypse comes knocking with a runaway truck. I have never read the book but have read about the differences between the film and the book which is immense in far as storytelling and content omitted from the book. The movie stands well on its own though with action that is fast paced and the plot intriguing enough to keep you glued to the end. 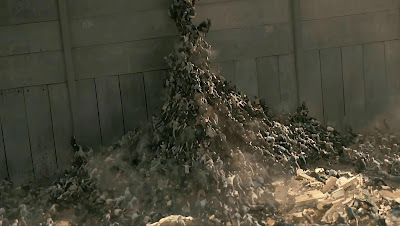 If you've seen the trailer, then most of what you see of the zombies is a big CGI blur of dirty gritty people running like crazy, climbing on top of each other, pushing forward. This was a big concern of mine as to whether the zombies would actually be shown and what they would look like. The good news is that you do get to see them up close, and they don't really differ much from some of the zombies you've seen in other movies as far as appearance. What I'm not a fan of though is the way the plague is explained and the temporary solution they develop. Even though the movie is quite fast paced throughout, the ending is a bit anticlimactic as towards the end, humor is intentionally or not introduced into the movie. Generally, I am a big fan of Brad Pitt and for me he doesn't disappoint in his role. Another stand out for me is the little talking but trigger happy Israeli soldier Sergen played by Daniella Kertesz. Prior to World War Z, she has only been on a few Israeli television shows. Overall, I highly recommend the film. Despite some parts toward the end which I am not too fond of, the movie had my full attention and on my toes throughout the film. It'll be interesting to see if they'll make another film in this world and perhaps even try to adapt Max Brooks's other book "The Zombie Survival Guide" which preceded World War Z. 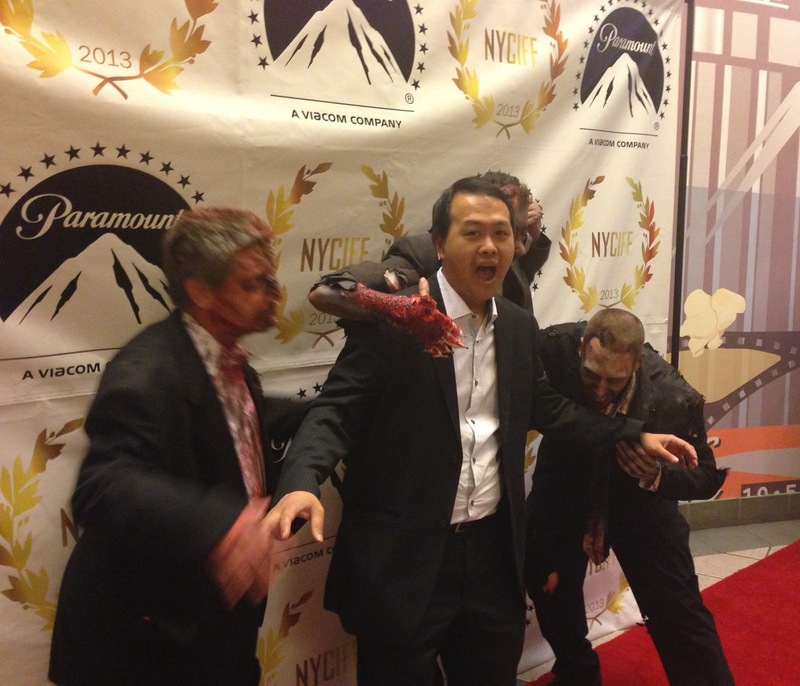 On a side note, the screening I attended was sponsored by the New York City International Film Festival. It was advertised as a Red Carpet event, which is so misleading. Audience members paid anywhere from $15 to $50 and more expecting it to be a Red Carpet event that cast members would be attending. Having a red carpet in the second level of the theater with which you can take pictures with zombies is fun, but does not make it a Red Carpet screening. Shame on you New York City International Film Festival for not being more clear. The movie is rated PG-13 and is out June 21st, 2013. The run time is 1 hour and 56 minutes. Brad Pitt as Gerry Lane, a retired UN investigator who is called out of retirement to investigate the pandemic that is spiralling out of control across the globe.